Working from afar has become possible through the development of telecommunication technologies which are available on devices such as the ‘Blackberry’, and applications such as ‘Skype’, ‘LogMeln Ignition’, ‘Evernote’ and ‘Dropbox’. Working remotely is being seriously considered and utilized by many companies today because they wish to remain competitive in a changing economy. Companies often find using these technologies has significant cost-benefits. Employees appreciate the flexibility which working remotely provides. Through the use of telecommunication systems, companies give employees the ability to work at convenient times and locations, while reducing their overall carbon footprint. The development of telecommunication technologies clearly shows the effect of globalization on our world, and is testimony for the changing nature of employment today. There are many advantages to working remotely. 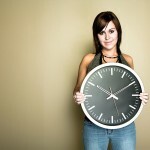 For employees, this can mean that more time is available to them. Commuting less can significantly reduce stress – more time is left for both work and personal matters. This is clearly advantageous to both the worker and the employer. Employees who do not have to commute, avoid significant stress and the dangers of the road, and therefore, often function in a safer work environment in comparison to others. People who work from home are also less likely to go on sick leave in order to meet the needs of their family. For instance, it may reduce the need for parents to take days off when their children are sick at home. However, this does not mean that telework can be easily balanced with other occupations or childcare. A high level of conscientiousness, security and trust are necessary for the proper functioning of telework arrangements. Telework, or working from a distance, gives organized and self-motivated workers the chance to have more control over when they work, and the chance to display a high level of responsibility. Such an arrangement also benefits those who live in hard-to-reach places, as well as those who are unable to leave their home for health reasons. The social benefits of working remotely include increased access to jobs and an increase in work available, as new jobs are formed in response to new trends in communications. New telecommunication systems and services are now being offered over the internet. These include IT’s (information technologies) and computer security; website moderation and technical support. It has become possible and increasingly common for people to manage their personal business from home, or abroad, thanks to sophisticated telecommunication technologies. Employers who are able to adapt to the changing competitive corporate environment through offering the option of working at a distance are able to offer a unique work environment, making them more attractive to prospective employees. This capacity also makes it possible for companies to retain valued employees who would normally have to quit due to personal life changes, such as moving. This makes companies more competitive. These technologies make companies more efficient by reducing their needs. Applying telecommunication technologies has allowed companies to reduce the cost of rent through diminishing their office space needs. For example, this offers companies the possibility of having shared offices made available for specific projects, providing employees with work-space as needed. Furthermore, the mode of communication reduces the amount of paper and service vehicles required. Communication has become easier and cheaper. Companies can now use programs such as Skype (or any other voice over the internet protocols), which offer free communication between users. This has obvious benefits for customer-client accessibility and reduces the cost of communicating among employees and employers.